10 REASONS WHY YOU SHOULD MAKE THE MOVE TO TORONTO! Toronto, the capital city of Ontario, is a metropolis oozing with fun, culture and opportunity for all of its dwellers. Living in Toronto isn’t exclusive to one niche peer group. The Toronto lifestyle is universal, satisfaction and enjoyment are had by all, young OR old. The city operates on a global scale; it is an international hub for business and finance, it is largely deemed as one of the most multicultural and welcoming cities in the world, and well, as Canada’s most populated city, there must be a reason why 2.8 million inhabitants have chosen to call Toronto their home. Here are TEN reasons why you should be moving to Toronto! Relocating to Toronto will open your eyes to different cultures like no other city will. The city is a fluster with individuals of different ethnicities, cultures and faiths, all living together in peace and all having some influence, big or small, on the lives of other Torontonians. More than half of Toronto’s population originate from countries outside of Canada, so it is easy to see why the city’s motto is, “Diversity Our Strength.” Every day you will learn something new about a new religion or a new country, and we at QMM believe this is by far one of the best things about Toronto. Being warm and cordial isn’t just a Canadian stereotype; we really are a welcoming bunch who always looks after one and other. Even in busy city hubs such as Toronto, residents will always have the time to pass on a smile and say hello. If you do decide to move to Toronto, it won’t really matter if you don’t have an existing base of friends and family in the city. So long as you are approachable and good-natured, you won’t struggle to find friends for life in this neighbourly city! The culinary cosmopolitan is every food lover’s dream and has become a part of the Toronto lifestyle. Whether cheap and cheerful is your scene, or if you like to be wined and dined at prestige Toronto restaurants, the city’s cuisine has all taste buds tingling. Food festivals take place throughout the year, allowing you to taste some of the world’s greatest street food and pop-up vendors but you can also find a sometimes overwhelming abundance of cheap-eats spots, hipster cafes, social eateries and some of the top restaurants in Toronto just so happen to be some of the most exclusive eating spots in the world. Thanks to the aforementioned welcoming of migrants to the city, whatever cuisine you want – you can find. The dynamic foodie scene has a STRONG Mexican presence, as well as Chinese, Japanese, Italian and so on. Don’t forget your stretchy eating pants when moving to Toronto Canada! Toronto life has a strong focus on incorporating the outdoors into daily ongoings – maybe not SO much in the winter, unless naturally-formed ice rinks are your thing - but the city feels as though it was made for nature enthusiasts. Many fun things to do in Toronto involve being in the great outdoors and exploring some of the cities natural or artificial green spaces or surrounding some of Toronto’s bodies of water. Approximately 13% of the city is green space, with 1,600 parks, countless botanical gardens and even indoor oasis’, there is no shortage of greenery. There are also a number of rivers, bays, creeks and lakes, with ample opportunity to partake in exhilarating outdoor activities, water sports, or just go for a leisurely scenic stroll if that is your thing. 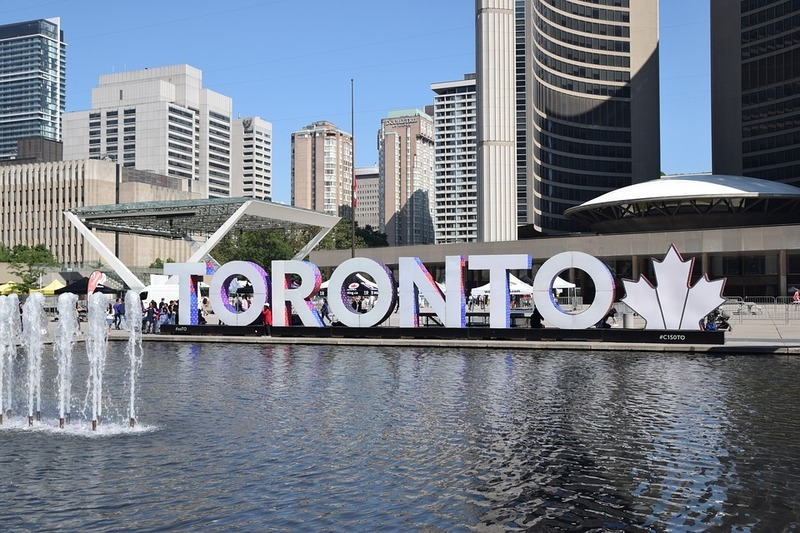 Regardless if you are on a fleeting visit to Toronto, or you have relocated permanently, you must make sure a festival is high up on your list priority list things to do in Toronto. The city’s summer festivals are among the best in the world, but there are many popular festivals taking place right throughout the year. There is a festival for everything and everyone in Toronto, despite your age, gender, interests or hobbies, there will be a Toronto festival that ticks all of your boxes. There are roughly 60 highly anticipated Toronto festivals taking place throughout the summer, some of these are the TD Jazz Festival, Pride Weekend, Toronto Fringe Festival, Bud Light Dreams, Electric Island and the Toronto Ukrainian Festival to name a few. If you are looking for things to do in Toronto with kids, we highly recommend the Spark Arts Festival, Junction Summer Solstice Festival and Toronto Chinatown Festival. This leads us on nicely to the nicely to the cities vibrant and effervescent music scene. Some of the world's most known or respected musicians hail from Toronto, current examples being Shawn Mendes, The Weeknd, and of course the city’s favourite and the man of the people, Drake. This background is echoed throughout the city that has one of the most interesting and energetic live music scenes in the world. You will be able to dance to and sing along with live music every night of the week, regardless if this is at an open mic night, at a local band’s first gig, or watching the biggest artists in the world at one of Toronto’s stadiums. The live music scene in the city never sleeps - another of our favourite reasons to live in Toronto. The city of Toronto has a staggering 140 recognized neighbourhoods. Yes, that’s right, 140! However, the number of unofficial neighbourhoods that are technically still within the city’s boundaries is closer to 240. Each neighbourhood is more likely to appeal to a different group of people, those with children and those without, those young and those old, those who want a quiet life or those who love to party; you really can find a neighbourhood to suit you when looking where to live in Toronto. If you are looking for a neighbourhood with the cheapest houses for sale in Toronto you could head to the suburbs of the city in Malvern, West Humber-Claireville or West Hill. 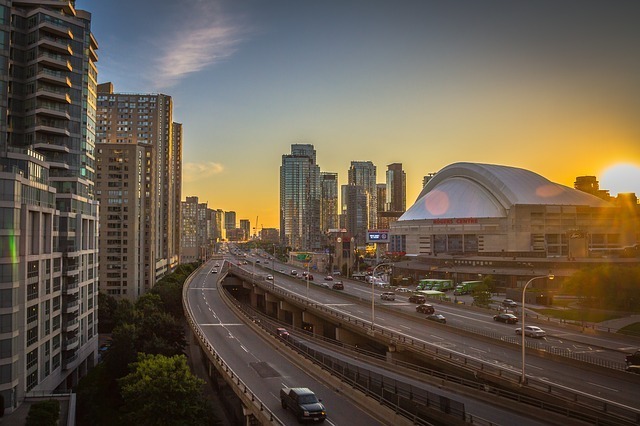 Whereas the best places to live in Toronto as a young professional is towards the heart of the city in the Distillery District, Yonge and Eglinton or Toronto’s Harbourfront, for example. Some of the greatest family-filled neighbourhoods are Deer Park, Allenby, Don Mills and Bloor West. Sunrise or sunset, rain, snow or sunshine, the city skyline is breath-taking no matter the circumstances and one of the MUST SEE Toronto sights. The CN tower has become somewhat a mascot of the city and has helped make the skyline one of the most instantly recognisable city-scapes in the world. Even if you have lived in the city for quite some time, the skyline is a view you will never tire of. So much so that the previously mentioned man of the people, Drake, made an album and aptly named it ‘Views’ in honour of the city. The landscape looks different from every angle, so be sure to take yourself away from the hustle and bustle every now and again and do a bit of Toronto sightseeing. Some of our favourite viewing points are Polson Pier, Trillium Park, Humber Bay, Riverdale Park East and also up the CN Tower’s viewing platform. Toronto is the largest contributor to Canada’s economy and also an important economic hub on a global scale. The diverse economy is made up of many key industries, some of the main contributors being technology, finance and media. The Big Five banks of Canada all have their headquarters based in Toronto, in addition to a plethora of international banks having a presence within the city and quite similarly, the technology scene in Toronto is also booming. So much so has the highest technology jobs growth in North America, both industries providing copious jobs in Toronto. Toronto also has an incredibly high youth employment rate and the city ranked third in the WORLD under the Youthful Cities Index with regards to economic status. If you are a new graduate moving to Toronto or already living in the city as a student, the job opportunities in Toronto are strongly in your favour. No two days ever need to be the same! We know that some people are creatures of habit, and that is totally fine, you will still wholly enjoy Toronto life. However, if you are somebody who likes to try new things, likes change and are constantly looking for new ways to entertain yourself; living in Toronto is the best place to be! You are spoiled for choice when it comes to places to see in Toronto, things to do, attractions to enjoy or Toronto points of interest; there is no end to the possibilities. Whether you want to go party in one of the city’s many clubs, spectate or participate in world-class sporting events, go shopping, bowling, ice skating, hiking or soaking up the culture in a gallery, theatre, orchestra or a museum, your spare time will never run dry and no two days ever have to be the same when you move to Toronto! The list of reasons to live in Toronto is never-ending and this is just a small snippet of some of our favourites. And it goes without saying but Toronto is not the only amazing Candian city. If you are moving to Toronto from the USA or from ANY Canadian city, QMM is one of the most reliable and best moving companies in Toronto to handle your home removals. Our services have been helping customers move to Toronto for years on end. To find out how we can help you, call us on 1.866.880.8681 and we will be happy to assist.